In all times and places, each culture had their Mystery Schools and Traditions. These Esoteric Paths of Training reached beyond Morality and Philosophy to that Spiritual Alchemy which transformed the Spiritual Seeker into a Conscious Co-Creator, and empowered them to take up the work of Spiritual Evolution upon this Planet. The internal disciplines of Visualization, Concentration and, at last, real Meditation, were designed to produce those evolutionary changes and growth within the brain, which allowed the indwelling Consciousness greater perception and creativity within the arena of matter. The title of Adept or Master meant the mastery of mental, emotional and physical matter. This was not abandonment, but the joyful recreation of our world into harmony with the Divine Plan. 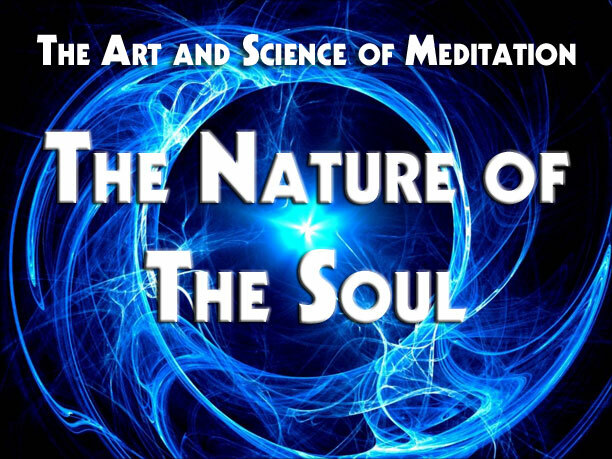 This class, The Nature of the Soul, provides in-depth training in this Art and Science. Step by step, via progressive techniques, the student will be instructed in those practices which will unfold the Soul within the Personality, and which will allow that Soul to take up its Service within our World. Although this training lasts about two years, the student is encouraged to attend only as long as he or she is learning and growing. The techniques taught are a synthesis of Eastern and Western Mystery Tradition, but are especially designed for the Western Student. Subjects included in this training are Esoteric Anatomy, Planetary History, Rays and Initiations, Transmutation, Conscious Creativity, and Service. You are most welcome to join us in the unfolding of The Nature of the Soul. To reserve your spot in the next session, email me your name and address: trishakeel@tomorrowskey.com. This class will be conducted online through Zoom software, which is free to download from www.zoom.us. You can attend class via your computer, digital tablet, or smart phone. The student will be able to both see and hear the instructor via computer or mobile device. Students can interact and ask questions as the class is conducted. All course materials are delivered as pdfs via email. All classes are audio recorded for later review or in case you must miss a lesson. These are delivered as mp4 files via an email link. I recommend that you have a 3 to 4 inch 3-ring binder to store your class materials. You will need a hole punch. It is also recommended that you keep a journal of all the techniques as they are taught to document your experiences with them as well as your results. This may be any sort of a journal, from a composition book to a moleskin, according to your personal preference. Tuition for this training is US$60 per month. Some months have more weeks than others, but it all works out, so don't stress over breaking this down to weekly payments. You may mail me a check monthly to Trisha Keel, 1847 Cortlandt Street, Houston, TX 77008. I also accept payments via PayPal, which you may make whether or not you have a PayPal account, using your debit or credit card, as you prefer. 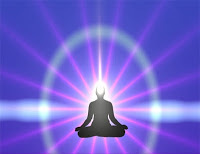 Meditation methods can include a vast array of techniques. You may be quite comfortable simply sitting quietly and attending to your breathing. Some folks like to concentrate on a single word, such as "Om" or "Release" to keep their mind occupied and off random thoughts. Others prefer guided meditations which take them to lovely places in their minds. All are great ways to relax and recenter yourself. These types of meditation are NOT what is taught in The Nature of the Soul. The meditation techniques of this training build, layer upon layer, to expand your conscious awareness, establish a connection between you and your Soul, and in the process of the extensive training, actually changes the structure of your brain. Your experience of The Nature of the Soul will be yours alone. The teachings are not presented to tell you what to think. This is not a transfer of dogma or religious teachings. This is an exposure to the Ancient Wisdom which, if you practice and attend to the techniques, will be clear evidence to you that what you are doing is of great value. It is not the purpose of this teaching to tell you what or how to think -- indeed it is not possible for it to do so. It is an opportunity for you to experience living as your Soul, on its level, according to its purpose and the Divine Plan. "For those of you who seek authority behind the written word, the truth of this text must be proven via its application. A formulated concept is of value only if it can be worked out as a living truth within the life and affairs of Humanity. Therefore, do not look to the source of this teaching for its authenticity, but to the application of it within your own life and affairs."